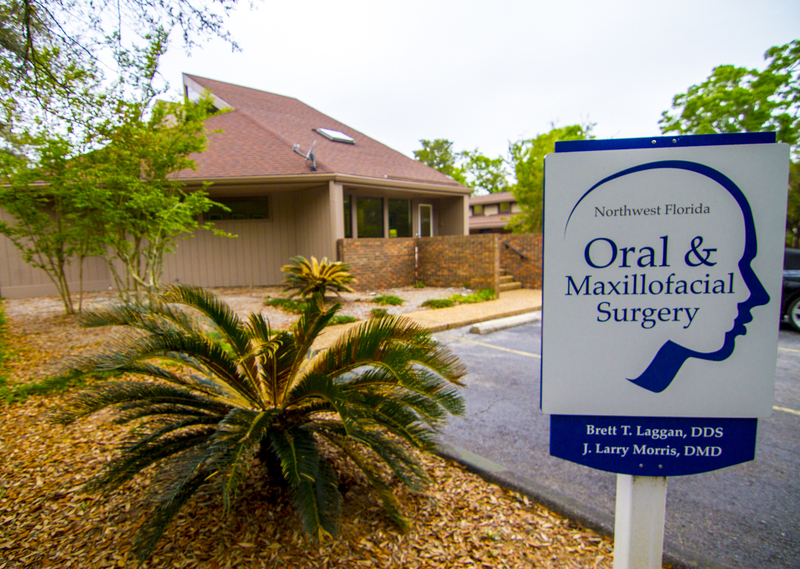 At Northwest Florida Oral & Maxillofacial Surgery, we are invested in our patients’ speedy recovery and comfort. A certain amount of pain, bleeding, and swelling is to be expected. The following instructions are intended to ensure the most smooth and uneventful post-operative experience possible for our patients. Mild, intermittent bleeding and/or oozing of blood is normal. In case of excessive bleeding, place a fresh, folded gauze pack or moistened caffeinated tea bag (soaked in very hot water, squeezed damp-dry and wrapped in moist gauze) directly over the surgical site and bite down for 45 minutes. Be sure to place pack directly over the wound. Change the gauze as need until the bleeding stops. It is helpful to remain quiet and restful with your head and shoulders slightly elevated during this time. Bleeding typically stops in 1-2 hours, but do not be alarmed if some minor oozing continues overnight or if the saliva is pink. You may see traces of blood for several days, especially following meals. If you become concerned that you seem to be unable to bring the bleeding under control, do not hesitate to call our office. AVOID SPITTING AND RINSING FOR THE FIRST 24 HOURS: These actions will disrupt the blood clots that cause the bleeding to stop and allow healing to begin. Following any surgical procedure, there will be some degree of discomfort. The pain experienced by patients varies in duration and intensity on an individual basis and usually begins a few hours after the procedure when the local anesthetic wears off. Please be advised that it is not unusual for peak discomfort to occur on the third or fourth day as opposed to directly after. Depending on case specifics, prescription pain medication may be provided. If so, it should be taken as directed when needed. Do not take prescription pain medications on an empty stomach as this may increase nausea. Drink a full glass of liquid with each dose. Do not drive or operate dangerous machinery while taking prescription pain medication. For moderate pain or discomfort, we recommend over the counter medications such as Tylenol or Advil to our patients. If at any point pain cannot be managed at home, please call our office. DO NOT SMOKE FOR AT LEAST 4 DAYS FOLLOWING SURGERY. SMOKING WILL DELAY NORMAL HEALING AND INCREASE THE INTENSITY AND DURATION OF YOUR POST-OPERATIVE PAIN. Swelling is to be expected following surgery. To help minimize and reduce swelling, apply an icepack to the skin over the affected area for the first 24 hours. Icepacks are to be used for the first 24 hours ONLY. The second and third day apply warm compresses / hot moist towels to skin over the affected area in order to decrease swelling, stiffness, and tenderness. Nausea may occur following oral surgery. Nausea is usually self-limiting and typically does not extend beyond the first post-operative day. Clear liquids and crackers may be better tolerated until nausea subsides. Occasionally, anti-nausea medications may be prescribed for patients with persistent post-operative nausea. If prescription pain medications were prescribed, take each pill following a small amount of soft food and full glass of water in order to minimize any potential nausea. It is necessary to keep your mouth clean following oral surgery, but care should be taken to not aggravate the healing areas. Gentle tooth brushing can be done on areas away from the surgical sites. AVOID SPITTING AND RINSING FOR THE FIRST 24 HOURS. Gentle rinsing can begin on the day after surgery, and is recommended following each meal. Good nutrition is an important aid in the process of healing. Small, frequent meals are better tolerated than eating large, infrequent meals following oral surgery. Be sure drink plenty of fluids in the first 24 hours after your surgery in order to ensure adequate rehydration. A soft diet (mashed potatoes, noodles, etc.) is recommended for the first few days. Avoid hard, crunchy foods (chips, popcorn, etc. ), which can injure the healing tissues and become embedded in extraction sockets. Avoid the use of straws as this may result in the disruption of necessary blood clots that form at the surgical sites. There are no set rules for post-operative activity as people recover at different rates from different types of surgery. It is recommended that patients limit activity for the first few days following any procedure. Normal routine of activity can be slowly reintroduced as tolerated. Vigorous exercise, including bending and lifting, should be avoided for several days following any oral surgery. Most sutures we place will dissolve and fall out on their own within a week; however, if bothersome, can be removed at a post-operative visit to our office. Hard or sharp edges may be felt in or along surgical area. It is likely to be the bony walls which once supported the extracted teeth. Occasionally, small slivers of bone may work themselves out during the week following surgery. In the event of concern or discomfort, please call our office. PLEASE ALLOW A HEALING PERIOD OF AT LEAST TWO WEEKS AFTER YOUR SURGERY PRIOR TO SCHEDULING ANY ADDITIONAL DENTAL WORK. Our interest in patient progress does not cease with the completion of surgery. We are devoted to facilitating the smoothest healing process possible for each and every patient. Our office cares about you. If there are any questions or concerns, please contact us.